Our client's needs are always at the forefront of everything we do and we are always striving for new ways to enhance and improve the customer experience for all the renovation, refurbishment and construction projects we embark on. Our objective is to remove the concerns of long distance construction and deliver a stress-free and pleasurable experience for all our clients. We offer a seamless approach to property management from refurbishment and renovation to ongoing maintenance and concierge services, allowing you to concentrate on enjoying the myriad of pleasures the Chamonix valley has on offer. By acting as an integral part of the ownership experience, we will ensure you always make the most of your time in the mountains. Many years in construction has taught us that good up-front advice is a key first step to any construction project. From local knowledge of building regulations and law through to the specification of materials, construction â€œknow-howâ€ is a must. We work with a network of specialist design and architectural partners offering a full design capability, from structural engineering to interior decorating. Alternatively, we are also happy to work with your preferred design teams and consultants, should you require it. Many of our clients contact us as they have recently purchased a property in the area and are in-need of our property management services. Not only can we take on the administrative and maintenance tasks that this exciting procedure demands, we can also help fine tune the property, from small repairs and maintenance, to full refurbishment. This offers the perfect opportunity for you to get to know your property, and how we work. By living in your property, you can take the time to work out how you will use it and what you would like to do change. We can then collaborate with you, developing a personal understanding of your needs and ideas to plan any work that you feel would enhance your property. Our insight into the practical use of a home in the Chamonix valley means we can consult with you and offer advice that will help you make the most of your property in the long run. Whether you have recently acquired a new property, or wish to make changes to one you have had for a while, our complete renovation service will enhance your time in the mountains. Does your chalet or apartment look tired and in need of an overhaul? Does it require a revamp to restore it to its former glory? If this is the case our renovation services offer the perfect solution for anyone wishing to improve their property in the Chamonix valley. For many who own an additional property in the area, time spent using it is at a premium. We can work with you to ensure that your dream holiday home becomes a reality without undue burdens on your time and energy, leaving you free to enjoy the long-term benefits of your holiday home. We manage the entire process as your single point of contact; working with our partner architects & designers from the offset, through to project delivery with our highly skilled teams of tradesmen. We keep in close contact with you throughout the entire process to ensure you are informed of any developments and decisions that occur. This enables us to carry out work with the minimum of stress, while ensuring that your vision becomes reality. Every project is different, and we will work with you in the way that suits you. We are happy to work with you directly or alongside your own design team, taking on your ideas and offering advice, all with the objective of carrying out work to the highest possible standard in accordance with your wishes. From the initial development of the scope of work and cost plan, providing strategic advice on the development of design and drawings to preparing the project programme and managing the site teams of tradesmen, our team will ensure that your project is successfully managed from inception through to completion, delivering the project on time and in budget. Our management team has many years of experience across a range of construction disciplines, helping to ensure that we minimise risk, maximise quality and deliver an efficient cost effective project as a result. We add real value with our extensive knowledge and make the renovation a stress free and painless process for you. If your home needs a more extensive overhaul or even stripping back to its shell and reshaping, we are here to help. Purchasing, using and maintaining a holiday home shouldn’t detract from the relaxation such a property is intended to instil. At any stage of your ownership, we can help you enhance your stays in the stunning French Alps. Turn your chalet or apartment into a luxury holiday space with our complete renovation service. 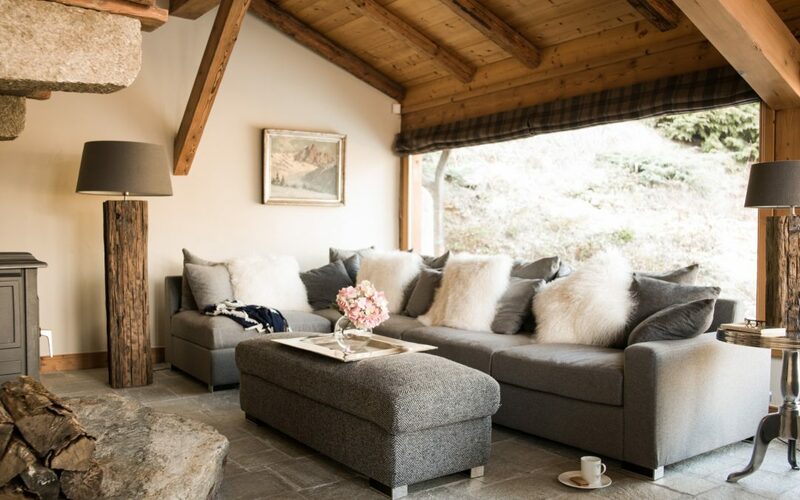 We work with owners to maintain and renovate all aspects of their holidays homes in the Chamonix Valley. We are equally adept at refurbishment projects and are happy to undertake interior remodelling in all its guises. Our service provides a perfect solution for those who own an additional property. We can be your eyes and ears in the valley, and create the perfect holiday home for you to enjoy on arrival, with the minimum of stress. Our construction expertise and project management skills will ensure your project is efficiently orchestrated from conception to completion with minimal fuss and disruption, helping you to realise your dream home. We specialise in all types of high end refurbishment and can take control of every aspect of a project, from design and planning through to completion and post construction support. Our reputation for completing projects on time and on budget is renowned, as is our pro-active and quality focused philosophy. We provide a full project and site management service and work closely with our tried and tested teams of expert tradesmen and builders to offer the customer an exceptional building service.